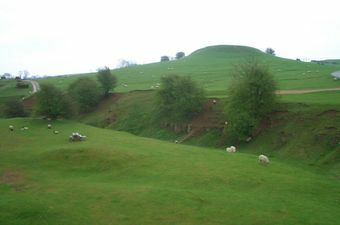 The Warwickshire Archaeological Resource Assessment was funded through the Aggregates Levy Sustainability Fund as administered by English Heritage. The aim of this project was to identify, characterise and digitally map available information on Warwickshire's archaeological resource in areas of past, present and potential future aggregates extraction in order to enhance existing baseline data, to improve archaeological mitigation of future extraction proposals in the county, and to promote better public understanding of and engagement with these issues. This project primarily matched the criteria in Objective 2 of the Aggregates Levy Sustainability Fund (ALSF; strategic mitigation of future extraction): the analysis of existing data and wider dissemination matched Objective 3 (mitigation of past extraction). This project has used a number of data sources, primarily: relevant geological information, in particular that which is available in digital form from the BGS; relevant archaeological data, contained in the Warwickshire and Solihull HERs; aerial photographic information including additional mapping as part of English Heritage's National Mapping Programme.